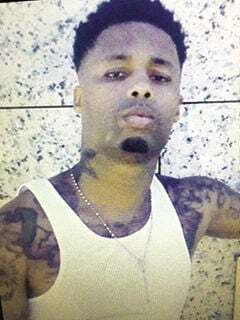 LIVINGSTON – A Denham Springs man faces 20 years in prison after pleading guilty to conspiracy to commit second-degree murder in a 2017 slaying, according to District Attorney Scott Perrilloux. Judge Robert Morrison handed down the sentence in 21st Judicial District to Thomas FeFee, 29, in the shooting death of Corey Graham, 26, Perrilloux said. FeFee received credit for time served and will be up for parole in roughly 14 years. Assistant District Attorney Zachary Daniels prosecuted the case. On Jan. 18, 2017, Livingston Parish Sheriff’s Office deputies responded to a shooting on Monroe Perkins Road in Denham Springs, Perrilloux said. Deputies found a man dead with multiple gunshot wounds to his neck, side, and face. They identified him as Graham, of Greenwell Springs Road. Witnesses said Graham was standing outside when they heard five gunshots in the driveway of the residence and two men fled the scene in a white vehicle. The driver was identified as FeFee. An investigation found Graham was looking to purchase cocaine and a woman arranged a meeting with FeFee, although it was known the two men did not get along. The next day, Sheriff’s Office detectives advised the East Baton Rouge Parish Sheriff’s Office there was a warrant out for FeFee. EBR detectives located an apartment in Baton Rouge they suspected belonged to FeFee, and a white Chevrolet Monte Carlo registered to FeFee was parked in front of the complex. FeFee’s roommate, Tremal Scott, was stopped after detectives saw him leave the apartment complex in a vehicle fitting the description of the vehicle used in the homicide. Scott denied knowing FeFee but later admitted he and FeFee lived at the same apartment. He said FeFee was not at the apartment and consented to a search of his vehicle and the apartment. Information from witnesses and cellphone data showed Scott was with FeFee at the time of the murder. On Jan. 26, 2017, detectives learned a Crime Stoppers tip led to the arrest of FeFee in Tampa, Fla.
Scott was also booked for second degree murder in the case. He is scheduled for a jury trial on June 24.